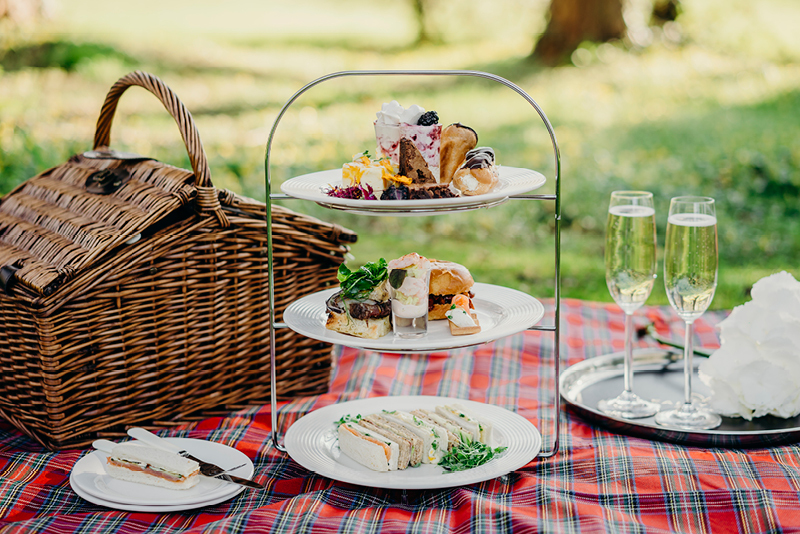 Newly-engaged couples answered our Royal Invitation and joined us at Fairyhill, along with the millions of people worldwide, to experience the Royal Wedding 2018 in all its glory. Last week, we made a few of our own Royal Predictions on our sister site, Oldwalls Gower. Now that the Duke and Duchess of Sussex are officially a couple, we thought we’d take a look back at some of the highlights from the day to provide some inspiration for future brides and grooms looking for their own luxury wedding venue. This day, like any wedding, had taken a lot of preparation. Okay, we’ll admit, it probably took quite a bit more preparation than an average wedding. But there always comes a time when the preparation pays off and the big day arrives. In this case, it was greeted by 600 official guests in St George’s Chapel, 2,640 members of the public in Windsor Castle’s grounds and an expected crowd of 100,000 people lining the streets of Windsor. Harry and Meghan became the 16th royal couple to celebrate their marriage at Windsor Castle since 1863. Visitors to St George’s Chapel were greeted by a stunning arch of white roses, while in the chapel the wedding arrangements included branches of beech, birch and hornbeam as well as foxgloves and peonies. The flowers were then donated to charities, including bouquets that were delivered to hospice patients. Wearing the frockcoat uniform of the Blues and Royals, Prince Harry arrived with his brother, the Duke of Cambridge, and like most nervous grooms shared a chat with his best man. By now, the famous faces had also arrived. Every wedding has a guest of honour, but it was difficult to choose one person who could take the title for this particular celebration! Excuse us for dropping a few names but we spotted; Oprah Winfrey, Carey Mulligan, Idris Elba, James Corden, Serena Williams, Priyanka Chopra, James Blunt, and a host of Meghan’s Suits co-stars, including Abigail Spencer. For many (ourselves included), there were two couples in particular that made a lasting impression. Amal Clooney arrived with her Hollywood husband in a stunning Stella McCartney dress. Thankfully, David and Victoria Beckham were on hand to represent the UK when it came to style. But when it came to a dress, there was only one person that everyone was waiting to see. When Meghan arrived, we were all given a first look at the much-anticipated wedding dress. Despite all of the press coverage, it had been kept impressively under wraps. But it was well worth the wait. Clare Waight Keller, the first female artistic director at Givenchy, collaborated with Meghan to design a minimalist pure white gown. Featuring a boat neck with three-quarter length sleeves it was made of double-bonded silk cady cushioned by an underskirt in triple silk organza. The veil was five metres of white silk and featured a floral detail that represented all 53 countries of the Commonwealth. The veil was held in place by Queen Mary's diamond bandeau tiara, loaned to her by the Queen. It certainly made for an impressive “something old”! The bride’s bouquet included flowers handpicked by Harry from their garden, including Forget-me-Nots in memory of his mother, the late Diana, Princess of Wales. As is traditional, myrtle, from a plant grown by Queen Victoria, was also included. This combination of the traditional and the new continued in the service. Having walked down the aisle with her ten bridesmaids and pageboys, Meghan was accompanied by Prince Charles to reach her groom. We loved the message of diversity during the service. From the Kingdom Choir singing Stand By Me to the 19-year-old cellist, Sheku Kanneh-Mason, and the happy couple leaving the chapel to the tune of Etta James’s “Amen/This Little Light of Mine”. But, like the majority of people watching, we were mesmerised by the energetic sermon from the Chicago-born preacher, the Most Rev Michael Bruce Curry. Who would have thought that the sermon at a Royal Wedding would have ended with, “We gotta get y’all married!”? You can’t have a wedding without the couple’s first kiss! Now it was time for 600 selected guests to move to the lunchtime reception at St George’s Hall, Windsor Castle. Hosted by the Queen, it featured a live performance by Elton John and another highlight of the day; the wedding cake. Decorated with Swiss meringue buttercream and 150 fresh flowers, the cake had a filling made from Amalfi lemon curd and elderflower buttercream. We wanted to host our own celebration of the big day and provide some inspiration for happy couples still searching for their perfect venue. We even gave WalesOnline our tips on how to create your very own Royal Wedding right here in Wales. Thanks to some glorious Gower weather in a wedding venue fit for royalty, everyone had a fantastic weekend. And don’t forget, there’s still a chance to win a honeymoon in Los Angeles! If the Royal Wedding 2018 has inspired you to find a venue that will make your dream wedding a reality then NOW is the time to visit. 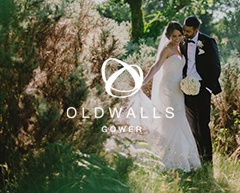 To celebrate the Royal Wedding of the decade we are offering all couples that book a wedding at Fairyhill or Oldwalls Gower the opportunity to enter into a prize draw. You could have a 1 in 30 chance of winning a luxury honeymoon to Meghan's hometown of LA! Book a private tour online or call to find out more. T&Cs: Valid for all new bookings confirmed between 1st May - 31st May.